POLICE are hunting a man who allegedly dragged a young woman out of her car by her hair and threatened her at knifepoint in a terrifying attack at Boondall, in Brisbane’s north. The woman was driving along Sandgate Road around 6pm on Tuesday, June 26, when police say an older, rusted red Holden sedan overtook her as she approached the Gateway Motorway. Police said the sedan stopped abruptly in front of the woman’s car and the male driver, whom she did not know, got out and ran up to her vehicle, armed with a knife. The man allegedly dragged the young woman out of the car by her hair before abusing and threatening her with the knife on the side of the road. Police said the terrifying attack only stopped when a man driving past in a white ute saw the commotion and pulled over to help the woman. Thanks to him, she escaped physical injury. The woman’s attacker returned to his rusted Holden and took off, police said. He remains at large. 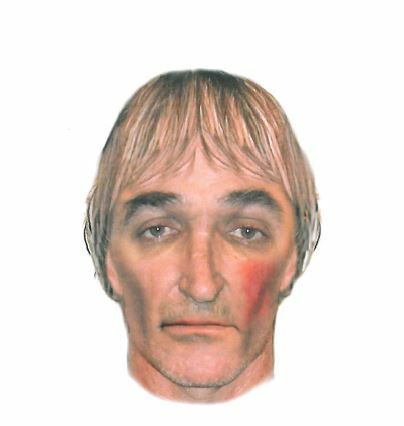 Police today released a COMFIT image of a man who they believe can assist with their enquiries. Detectives are also appealing to anyone who may have witnessed the incident or anyone who may have been travelling through the area at the time with a dash camera to come forward. In particular, officers would like to speak with the man in the white ute who stopped to help the woman. He has only been described as being aged in his 40s and wearing a high visibility work shirt.